According to the Hindu mythology, Rahu is cut-off head of Asur. God Vishnu cut the head of Asur when he took the nectar furtively. As per the Vedic astrology, Rahu is referred to as a “shadow” planet. It is Ketu’s associate, in the horoscope chart you will see Rahu & Ketu remains face to face. Rahu is a malefic planet. Sometimes it is symbolize with smoke because its characteristics are similar to smoke. It gives birth to uncertainty. It other words Rahu is the very meaning of uncertainty. Therefore, it is very difficult to predict when & what Rahu will give to a person. Rahu is given 5th, 7th & 9th sight. It means Rahu affect 7th house of chart along with 5th & 9th house of horoscope chart with its full sight from its position. It is believed that whenever Rahu sits in the 11th house of horoscope chart the native gets the unexpected money. But as per my experience, as I have seen & observed in the many horoscope chart that Rahu gives money unexpectedly till it is favorable if it is not favorable or less favorable then the native does not get the money unexpectedly even sometimes the money which was imminent does not come. Rahu resides in the Brown Color Dog. The Sweeper who does the work of cleaning road etc. from morning to evening is the representative of Rahu. Rahu lives in the servant who cleans the utensil. Alcohol, Gambling, Drugs in other words Underworld related activities are under the control of Rahu. No other planet can be compared with Rahu when it comes to giving upliftment in the name and fame, sudden benefit luck at gambling. Like alcohol, Gambling & drugs, Rahu attracts people towards evil. In fact, at any place where there is evil, one becomes rich suddenly and other pauper, there is Rahu. Rahu is mischievous, cunning, miraculous, brisk expert in converting even an enemy into friend, Rahu controls mystery, magic that’s why Magician, Sorcerer, wizard, witchcraft, Snake charmers and all other people whose lives are very much related to these things could be said to be under the influence of Rahu. As far as astrology is concerned Rahu is responsible for separation, seclusion & isolation. Rahu is considered responsible for divorce. 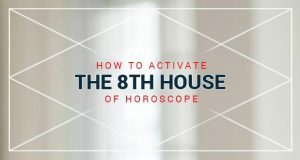 In the horoscope chart the house Rahu occupies first of all it deprives the native from the pleasure which the native has to receive from that particular house. For example: Rahu sits in the 7th house of horoscope chart of one person, 7th house represents the marriage, in that case Rahu shall deprive the person from the marriage & pleasures related to marriage. Malefic Rahu gives sudden death while benefic Rahu enable the person to earn in abroad, win lottery prize, racecourse, gambling & betting. Rahu also gives money from unexpected things like life insurance. Rahu in the first house, the person shall be of mysterious nature, he can be a sly, crook or a thug. Rahu in the second house, sends the person away from his home, in many cases I have observed that the person do not stay for long at one place. Rahu in the third house gives enormous success or success with the help of friends. Rahu in the fifth house causes miscarriage (in case of female), conflict with wife or even divorce in some cases. I have described my best experience with Rahu. This has no but in future I will update this article for more houses of horoscope. Please use comment box below to send your suggestions & queries about Rahu. I will try to answer each and every person. Next: क्या आप अकेले हैं ? Mr. Prajapati great article! I have emailed you today so please get back to me soon. I would like to inquire about a few more things. Thank you for all of your help and guidance you’re definitely great at what you do.